A silent – but glitzy – disco at a care home in Weston-Super-Mare has had a “remarkable” positive impact on residents living from dementia. 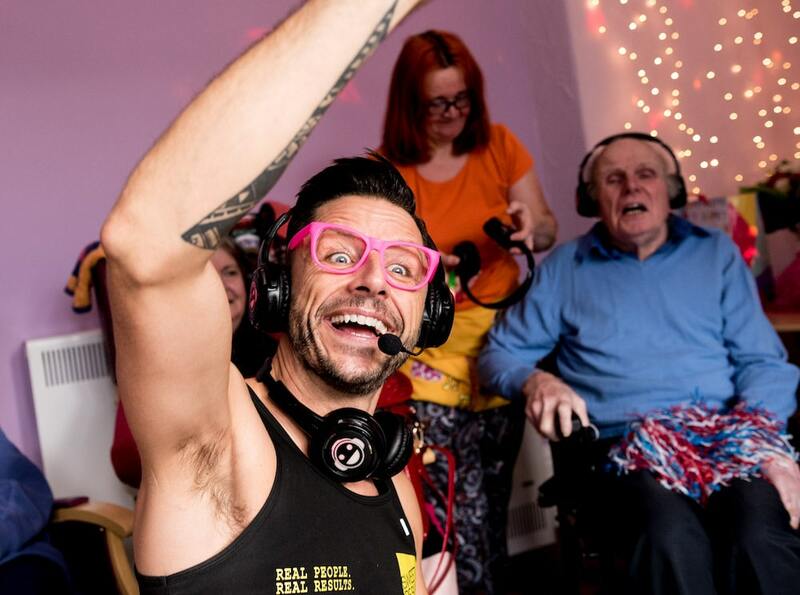 A fitness coach visited Manor Park Dementia Nursing Home to help residents get into the disco vibe with wireless headphones playing an eclectic mix of music, such as The Beatles, Elvis and Abba, and a variety of props, including glow sticks and feather boas. 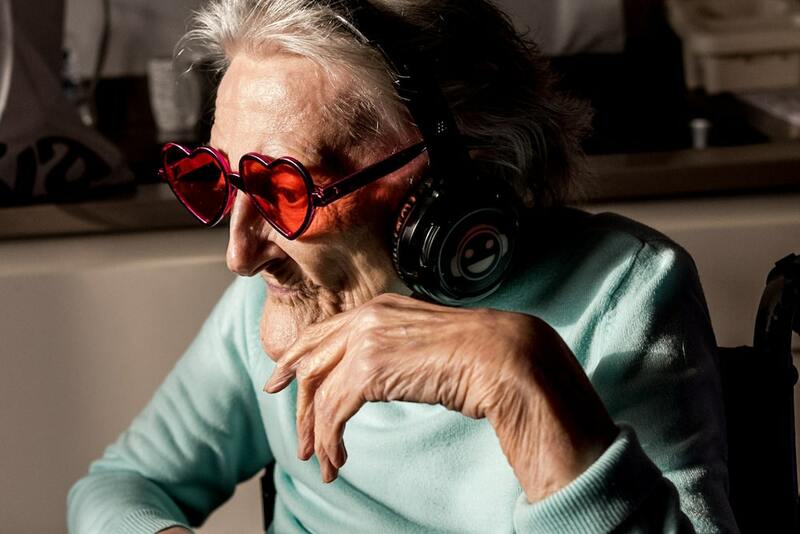 A popular phenomenon at festivals, the silent disco is now being embraced as an activity for older people, especially those living from dementia, providing an immersive audio experience. According to Alzheimer’s Research UK, there are currently 850,000 people with dementia in the UK, more than ever before, and this number is projected to increase rapidly over the next few decades. Home manager, Lauren Barnes, strives to find new and innovative ways to support the home’s residents to live well with the condition, and Manor Park has been recognised as a Dementia Care Matters Butterfly Home, a national scheme promoting person-centred dementia care. Lauren was keen to trial the silent disco to see if it was an activity the residents would engage with, and she was amazed at the response. “The positive effect the disco generated was remarkable – it brought residents who are usually quiet out of themselves, and on others is had a calming effect,” said Lauren. “It felt a little strange at first, but as soon as the music started, feet began to tap, everyone was smiling, some residents were up dancing and lots of them were singing along to the hits, even after the disco had finished. “One of our residents, Steve, has a brain injury which often effects his behavior. Steve is a fan of opera and when Pavarotti was played, he absolutely loved it. Following the activity, Steve was noticeably calmer, he was smiling and content. “A dozen of our residents took part, each choosing to participate in their own way. It worked so well because for that hour it’s just the music and them, and no other distractions. Joan Haynes, aged 74, enjoyed the silent disco experience and continued to sing throughout the day. Fitness coach Mark Sweeting, owner of Sweet Result Fitness in Weston-Super-Mare, led the disco and enthusiastically motivated the participants. 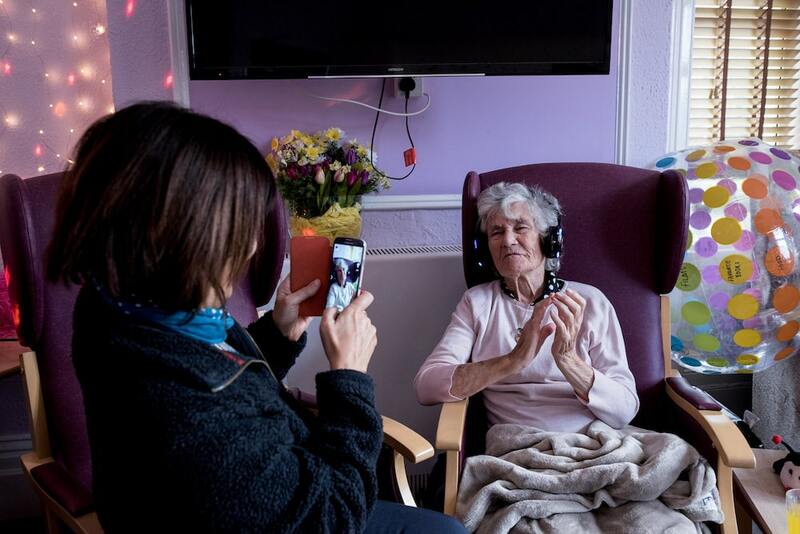 The silent disco is one of a wide range of activities delivered by the 36-bed dementia nursing home to stimulate residents and improve their wellbeing. The home also has plans to expand, adding an extra eight beds to accommodate the growing number of people in Weston-Super-Mare living with dementia.